Better with You: One Family – Three Couples At Different Stages of Their Relationships! Better with You [ABC, Wednesdays, 8:30/7:30C] serves up some big laughs centered around three couples: Casey [Jake Lacey] and Mia [JoAnna Garcia], newly engaged after knowing each other for seven weeks; Mia’s sister, Maddie [Jennifer Finnigan] and Ben [Josh Cooke], who have been living together for nine years, and Mia and Maddie’s parents, Joel [Kurt Fuller] and Vicky [Debra Jo Rupp], married for thirty-five years. The series uses the three relationships to explore how each influences the others – and whether for the better. 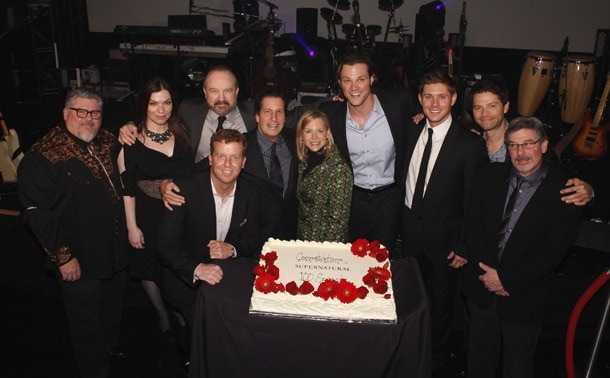 In a continuation of the party celebrating the milestone 100th episode of the hit CW Network series, Supernatural, the good folks at Warner Brothers have sent out a little party treat to some of us journalist types: an advanced look at the S5.18 Point of No Return. As we saw back in last week’s episode, S5.17 99 Problems, a totally frustrated and mentally and emotionally exhausted Dean Winchester (Jensen Ackles) has begun to think the only way to stop Lucifer and save the planet is to say yes and become Michael’s vessel. 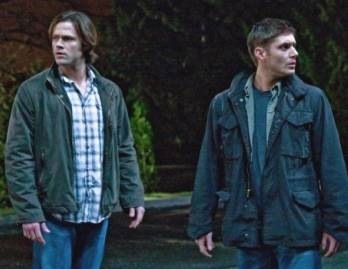 Which in turn has his brother, Sam Winchester (Jared Padalecki) deeply worried and looking for a means to keep Dean from making that decision and all of this is widening the rift between the two of them. In my opinion the reason the rift between them is widening is because Dean doesn’t care about what’s going on anymore or about the consequences of saying yes to Michael and he is leaving Sam feeling like he has no back up in his own battle to stay strong against Lucifer. 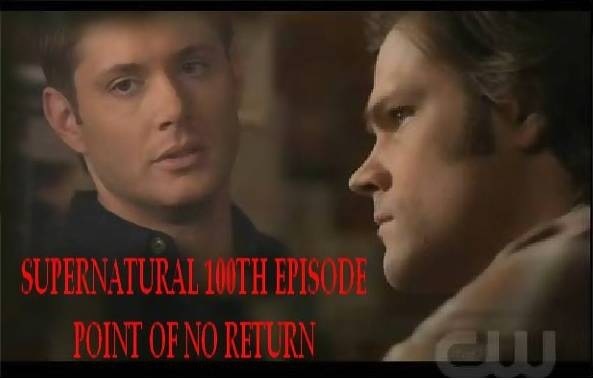 In the pivotal 100th episode, S5.18 Point of No Return directed by Phil Sgriccia and written by Jeremy Carver, the Winchester brothers find out that unbeknownst to any of them, the angels have been coming up with a shocking and horrifying “Plan B” to bring about the final days of the apocalypse. Together with Castiel (Misha Collins) and Bobby (guest star Jim Beaver) Sam and Dean put aside the widening rift between them, as much as they can, and prepare to take on Zachariah (guest star Kurt Fuller) in a desperate attempt to prevent the beginning of the end on Earth. The episode also sees the return from the dead (in true Winchester fashion) of Dean and Sam’s half brother Adam Milligan (Jake Abel). Without giving too many spoilers away, here’s what I have to say about the 100th episode of Supernatural. It took me a bit to get to the commentary on Supernatural S5.16 Dark Side of the Moon because there was so much in the episode to think about and form an opinion on. I liked this episode, which was written by Daniel Loflin and Andrew Dabb, but I’m still having a hard time deciding it if was a pivotal episode or just another filler episode. With some of the things we learned about Heaven, about Sam (Jared Padalecki) and Dean (Jensen Ackles) I’m leaning more towards pivotal. Yet I think the things that it ‘filled in’ about these characters for the viewers and for the fans of the series was more important to the progression of the myth arc concerning the apocalypse than any pivot points.